The Super Bowl is tomorrow! If you don’t have your Super Bowl keto meal plan in order, check out my Super Bowl section for a full list of ideas. There’s no reason to cheat on Super Bowl Sunday with keto since so many snacks are perfectly keto friendly! 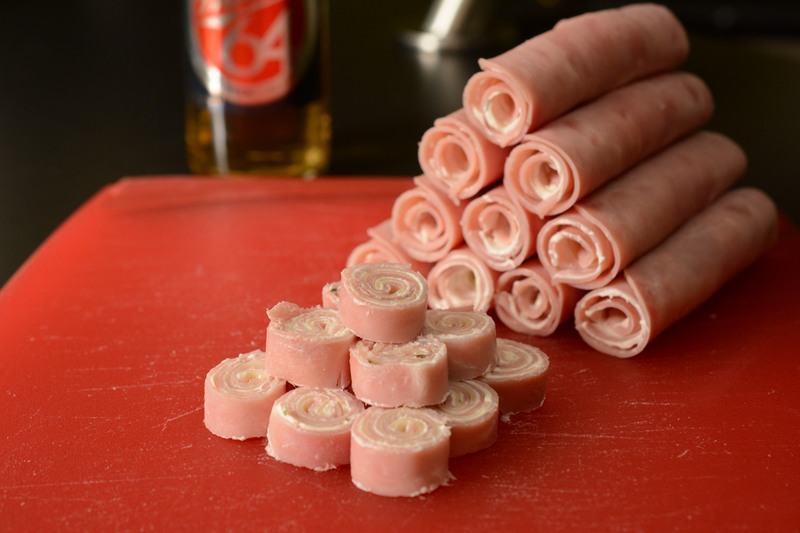 Today I’m making a twist on one of my favorite appetizers, the rollup. Basically you just get slices of ham, add cream cheese and throw anything else you want inside. Its quick, easy, and can be made ahead of time. Non ketoers will like them too in case you’re watching the game at a friends house! For today’s rollups, I’m using some ham slices with Chive and Onion cream cheese as well as some thin sliced swiss. 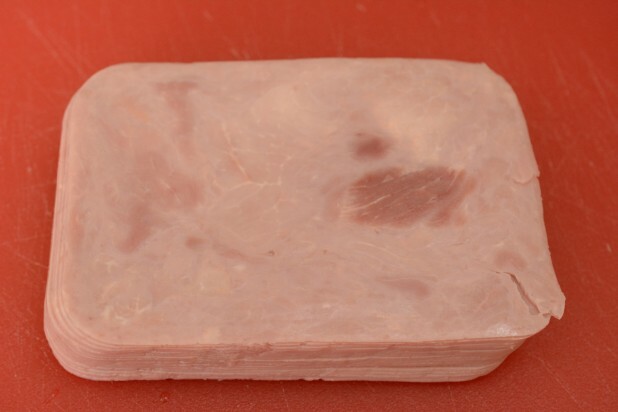 Start by laying out the ham slices on a cutting board. 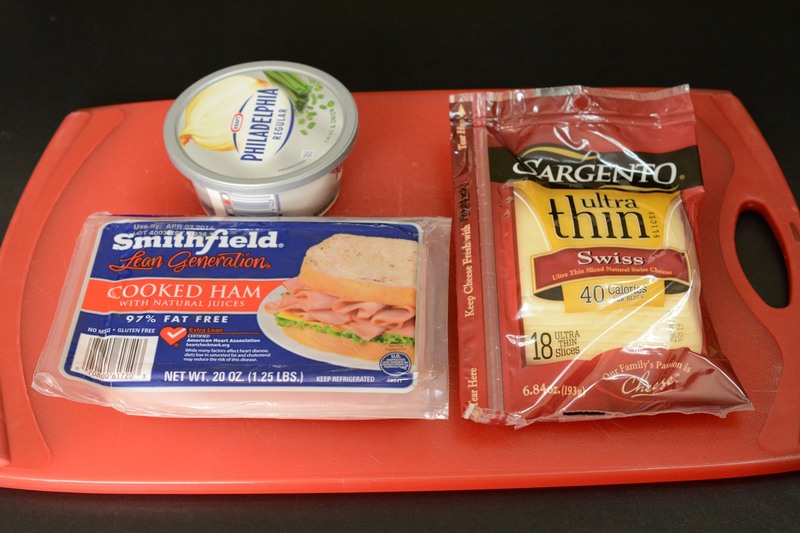 Make sure to take out the whole package as it makes it a lot easier to spread the cream cheese. Additionally, you want to make sure the ham is dry, so pat it down with a paper towel. Otherwise the cream cheese won’t stick. 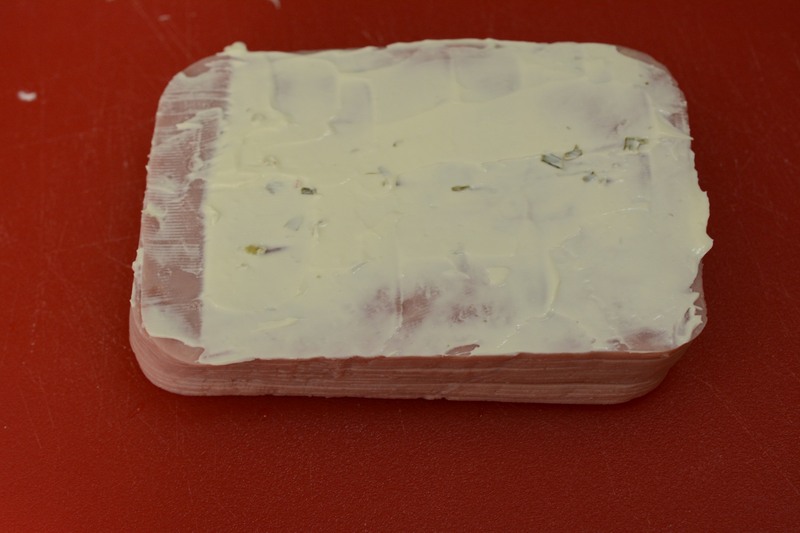 Spread the cream cheese over the entire ham slice and then use the knife to scrap away about 1/2″ on the left side. I used about 10g of cream cheese on each slice. This just about finished the 8 Oz. container. 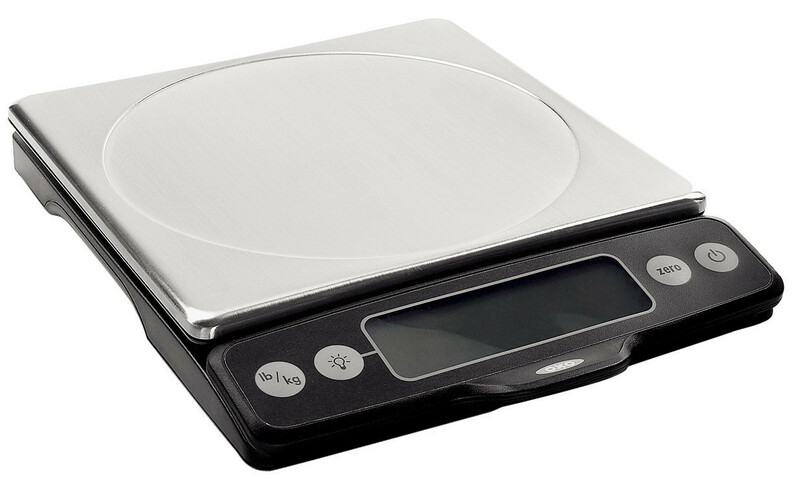 I just zeroed the scale each time and grabbed 10 grams. 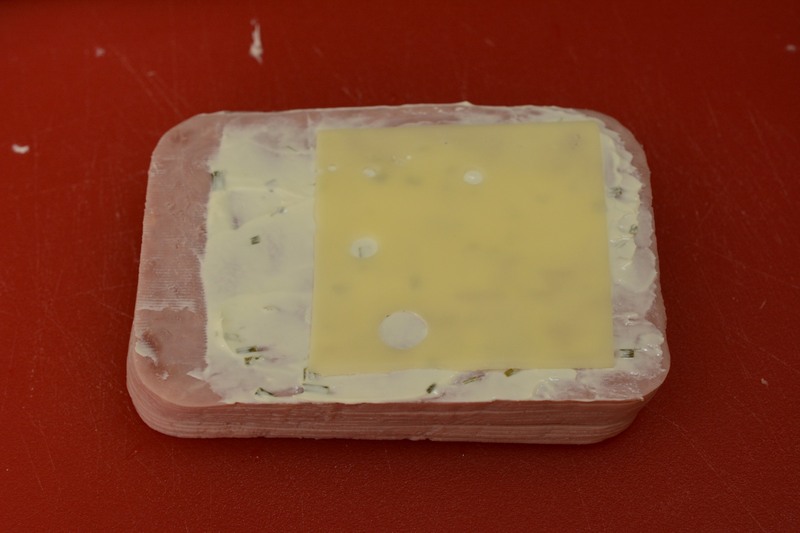 Then lay the cheese on top of the cream cheese about 1/2″ from the right side. Start by folding the end of the ham over the end of the cheese. 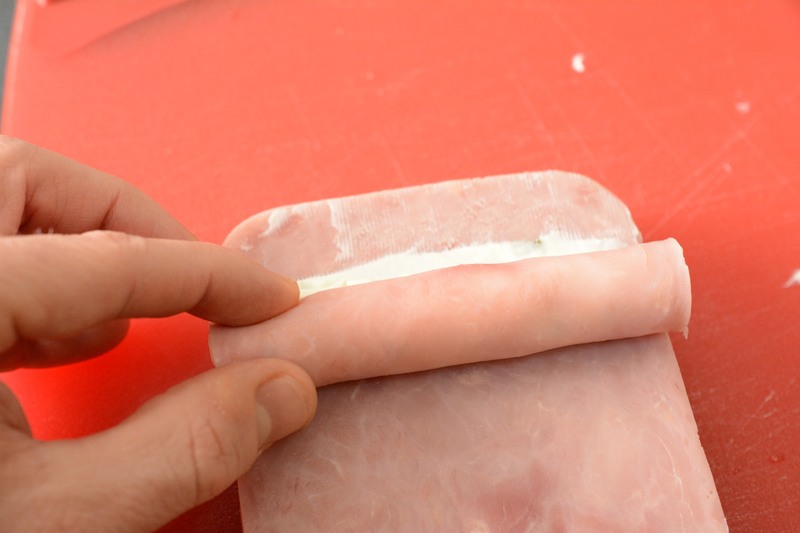 The cream cheese will act like a glue and this will form the core. 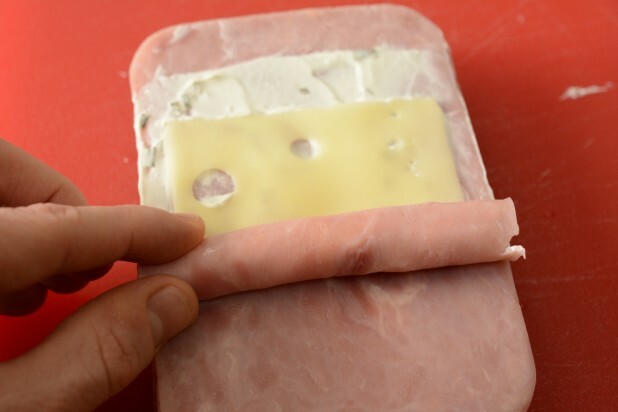 Then fold the ham / cheese combo over and start rolling. 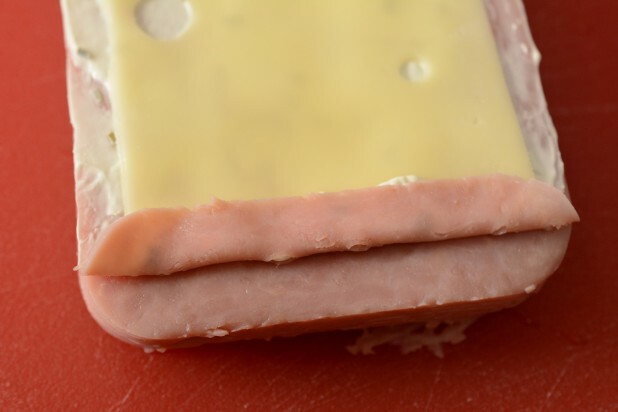 As you roll the cheese and cream cheese will start to squish out. This is ok, that’s why we started with the cheese so far right and no cream cheese at the end. At this point you’ve almost finished. There will be some cream cheese at the end, keep rolling and the extra cream cheese at the end should keep the roll together. Here’s a finished roll! 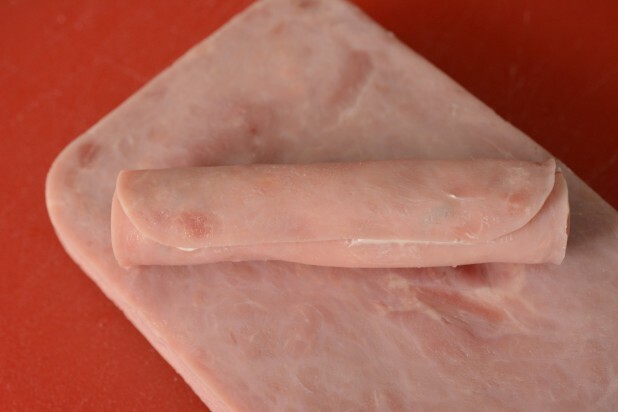 Slice them up into bite sized pieces or keep them in roll form for a hand held appetizer! What did you make to eat during the Super Bowl? 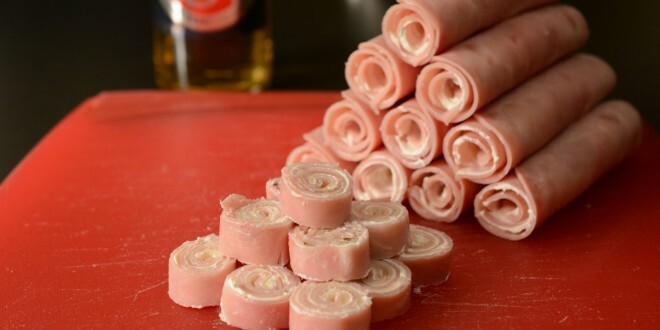 Optionally, slice the rolls into small rolls and serve! To really count calories on keto a good scale is essential. This one is the best. Period. 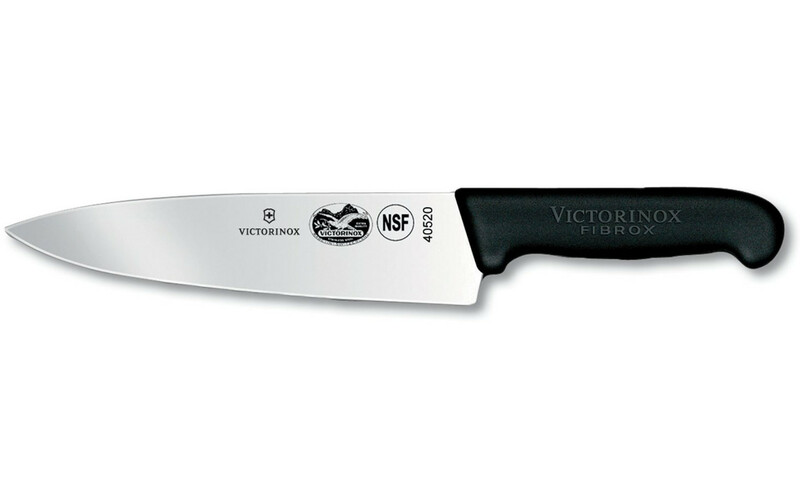 It measures down to 0.1g, can handle up to 11 lbs and has a pull out display so you can put large items on it! Check out my MFP guide for more info on tracking calories. 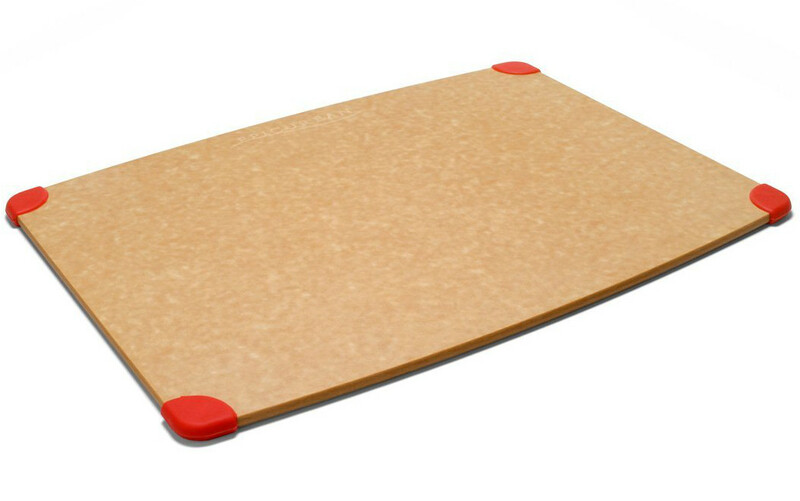 This isn’t related to your post, but I didn’t know how else to tell you. The page for your flax bun recipe appears to be broken. It shows a page not found error. Running a Google search points to the same broken page. Hmm, its working from here. The page is at : http://cavemanketo.com/faux-bread-quest-flax-buns/ and when I search it goes to that as well. It could be a caching issue. Have you tried clearing your cache? I did redo the linking structure at the beginning of the month and maybe it hasn’t fully propagated yet. Thanks for giving me the heads up!